My goal as a water heater advisor is to save you money. How does your water heater relate to your wallet? Most likely, one utility will be less expensive to operate than the other. My guess is most households do not have a preference. The area in which you live might dictate the type of water heater you will install. Certain areas of the country are predominately gas, while others are mainly electric. If you have a choice, hopefully this info will help you decide. You can save from the start by choosing the correct heater for your household. Assuming you have a choice, how do you choose? Ask yourself if the present heater does a sufficient job. Does it supply enough hot water for your family? If you're replacing an existing water heater, check to see what type you have now. Is it gas, electric or even propane? If your heater has done a good job for your family, why not stay with the same type? Usually that will be an easier and less expensive installation. Many factors can enter the decision. But for this comparison, let's keep it simple. It's hard to get simpler than an electric water heater. It is recommended to power your electric heater with a 10-2 wire run directly from the electric panel, and connected through a 30 amp breaker. Basically, you have two heating elements and two thermostats. One of each are at the top and one of each are at the bottom. Replacing either component is simple. Most elements just screw in, making replacement easy. Thermostats can be replaced by the novice by changing wire for wire. The cost is reasonable as well. Most home improvement or hardware stores sell both elements and thermostats under $20.00 each. The negative factors about an electric water heater are that it heats water slower than gas, and commonly electric rates are higher than gas. Gas water heaters are slightly more complex. All gas heaters must be vented. You can vent an atmospheric vent heater into a chimney or a vent stack, which should extend through the roof, and should be at least 2 feet higher than the highest point of the roof. A Power-Vented heater will have a blower on the top, and push the gas vapors out the side of the home through plastic pipe. A chimney is not required. Today's atmospheric vent storage heaters commonly have a pilot light, so you need a thermocouple or thermopile (a type of electric thermocouple). An igniter is needed to light the pilot. And all makes have a main gas valve assembly. Thermocouples can be found most anywhere for under $10.00. If your model has a thermopile, you may pay us much as $40.00. Various manufacturers have their own style of igniter. They can run up to $35.00 each, but rarely are found to be defective. The main gas valve assembly can cost around $85.00. 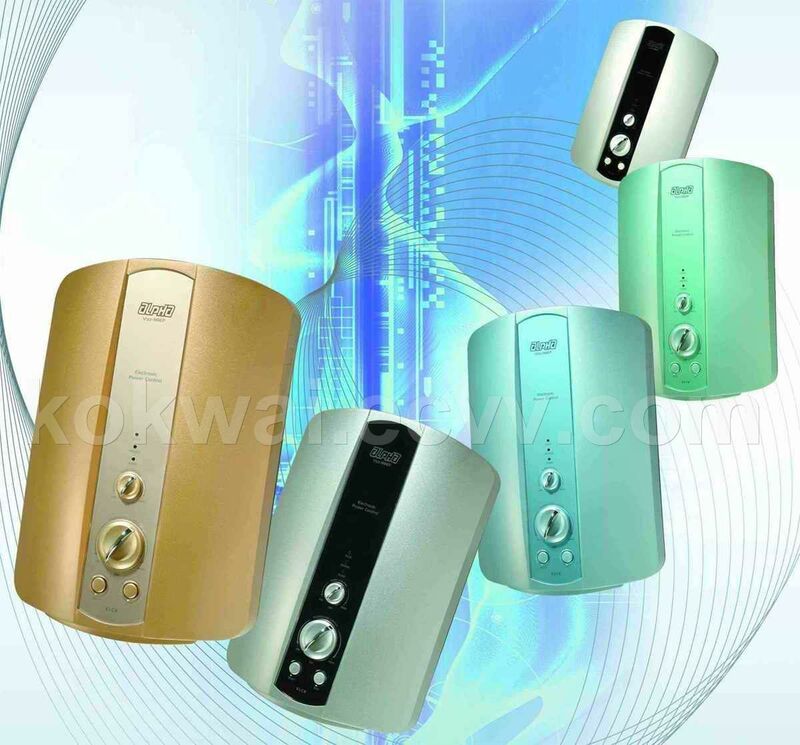 A Power Vent style of gas water heater is becoming more popular by builders today. Because these heaters do not require a chimney, most contractors will choose this style because they are not restricted in design, and cam locates the water heater anywhere, and extend the plastic pipe to the exterior wall. This is usually an inexpensive Endeavour. If they chose an atmospheric vented style, it would have to be near the chimney, restricting the homes design. Power-vented heaters can cost as much as twice the price as a standard storage type of heaters. As well, most builders would rather pay $1000 for a power-vented tank than $10,000 for a chimney. Power-vent heaters are quite complex. For starters, unlike standard gas heaters that run completely with gas, the burner operates with gas, and the blower runs on electricity. We already said that to purchase this style of heater would cost about twice the cost as the standard. Choosing this style will allow you more flexibility in locating the water heater in your house. However, repair can be varying costly. For starters, there is a blower that can cost up to $200.00. The main gas valve also cost two to three times as much as the gas valves on a traditional atmospheric type of heater. Additionally, there are numerous smaller but essential components such as a diaphragm, pressure switch and wiring harness. As mentioned previously, an electric heater will commonly heat slower than a gas heater. Therefore, if you need a 40 gallon gas heater, you will probably need a 50 gallon electric heater to provide sufficient amount of water ready to use. Now that you know whether you want a gas or electric water heater, to buy smart, determine the size you need. To do this, compare the recovery ratings of each.